After going through months of enduring the cold winter days, everyone is looking forward to the warmer weather. People are now coming out to the outdoors to enjoy the sun. Instead of entertaining their guests indoors, hosts are shifting to the patio to entertain their guest with hot tea and snacks. It is a wonderful place to get the warm of the sun, and to enjoy the blooming flowers in the garden. So, the first thing we should do is to invest in high quality outdoor furniture to make our patio a comfortable place to entertain our guest. There are many options to choose from and since patio furniture can be a big investment, we want to make the right choice. Here are 8 tips to help us make our choice. First, we need to take stock of our patio space, whether we are planning for a comfortable, shaded space to relax and read, or a space to enjoy our tea or coffee with family and friends. Look out for great ideas online by Palm Springs interior designers and others. Before shopping for our patio furniture, make sure to take measurement of the patio space. 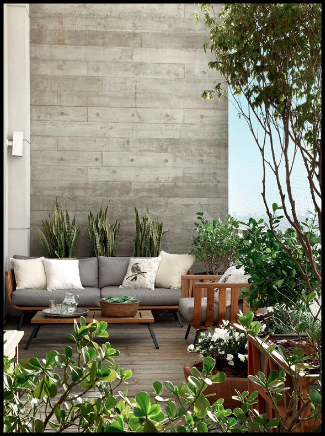 We wouldn’t want to get an oversized furniture to make the patio appear crowded. If the patio space is big, then we will need substantial pieces of furniture to fill the space. Always do our homework first before we start to shop. Check out the websites selling outdoor furniture to see the different styles, materials and compare the prices. Read customers’ reviews about the quality of the products and their services. Plan carefully and try to keep to a theme for your outdoor furniture. Be consistent in your style of choice. Examples of outdoor theme can be found online such as shared by the Los Angeles interior designers, etc. Make sure to select the most durable furniture as most quality outdoor furniture can be expensive. Consider the materials use and the cost of maintenance required. Check out the quality of the materials and the workmanship. Make sure the joints are fitted tightly with no gaps. All metal furniture should be painted and power coated finished to prevent rust. Wood furniture should be sanded to a smooth surface. Wicker should be loosely wound on the frame. Tables should not be wobbly and the chairs should be sturdy and comfortable. For more comfort, comfortable cushions with appealing colours and designs will be great. Choose fabrics meant for outdoors, especially fabrics that can resists mildew, fading, or staining. Choose outdoor table with a hole in the centre to hold an umbrella to provide shade from the sun.